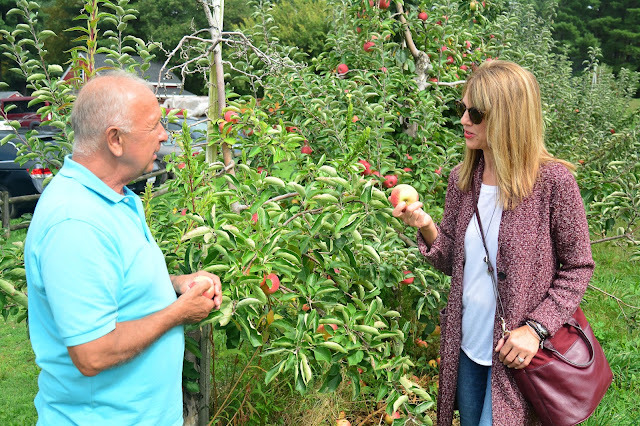 What would fall in New England be like without apple picking? 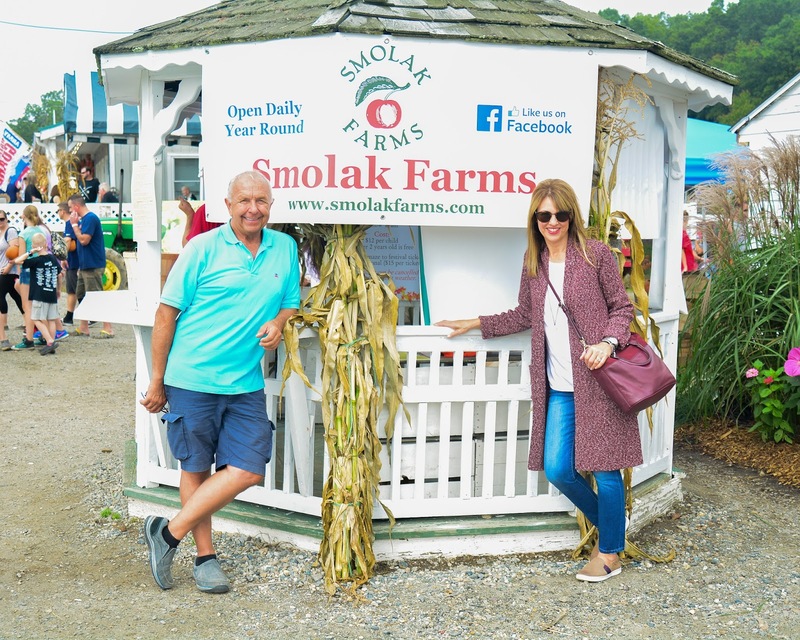 I recently visited Smolak Farms in North Andover, MA, my favorite place for apples, pumpkins, cider donuts and of course apple pie! I was greeted by the owner, Michael Smolak who graciously gave me a little lesson on apples. There are SO many varieties....I had no idea! 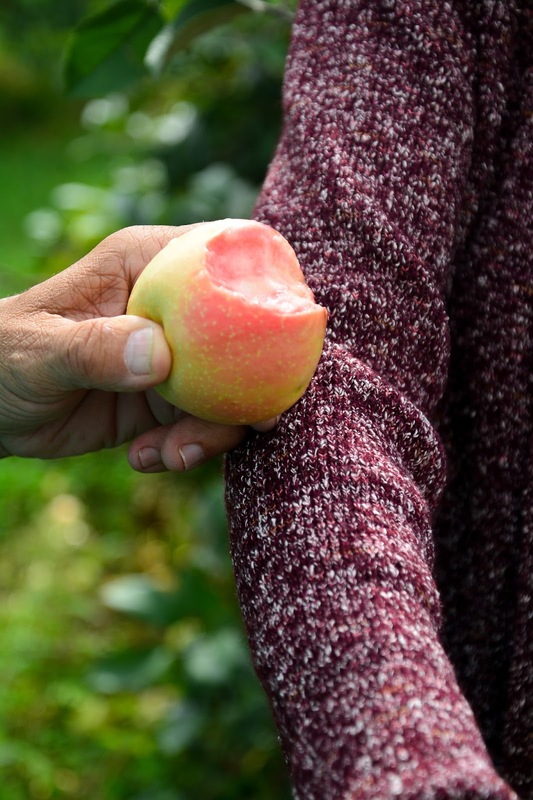 I thought I was a red delicious girl but low and behold, the coveted "pink pearl" is now my favorite! 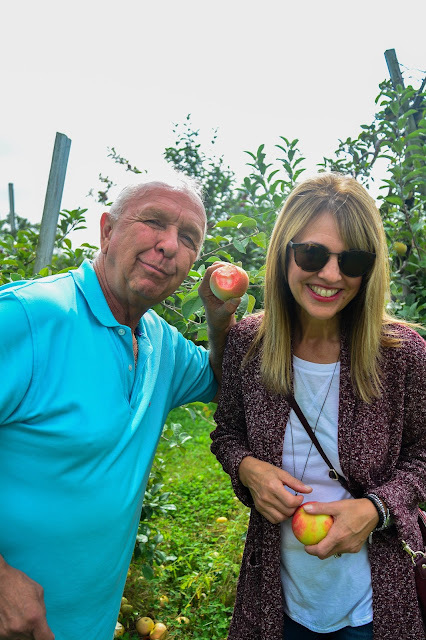 Check out the inside of this apple!! I like my food to match what I wear. Matchy-matchy all the way! Yes we got a wee bit silly. 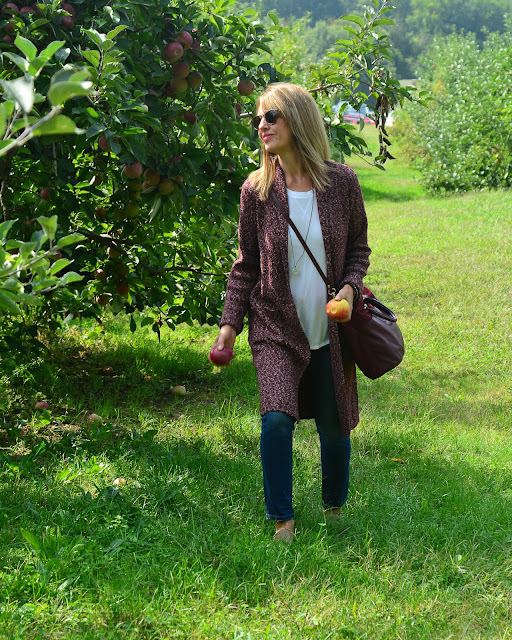 So what exactly do you wear when on an apple picking excursion, you might ask. 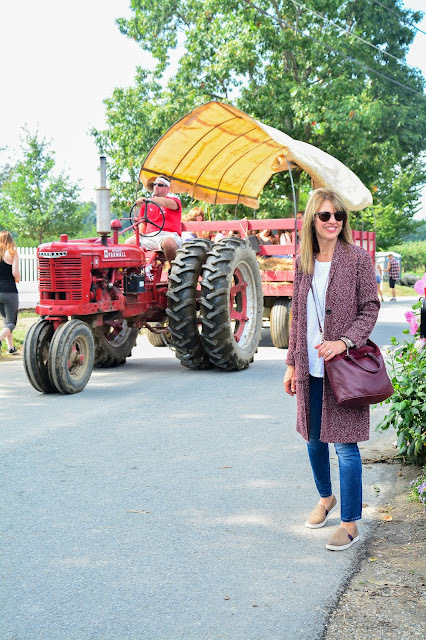 This outfit is perfect for a crisp fall day at the farm. 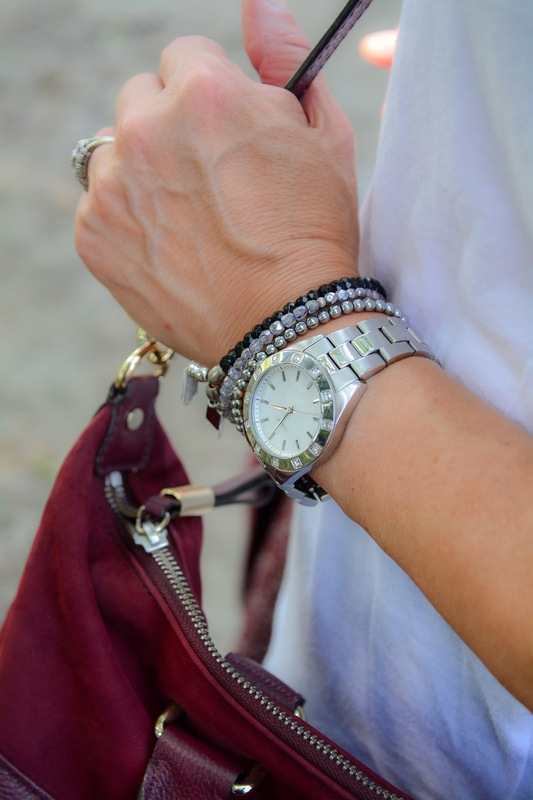 Simple layered bracelets (similar and $8.36!) and a stainless steel watch keeps things casual (similar here). A bag that can double as cross-body is essential for apple picking! Similar bags here and here. 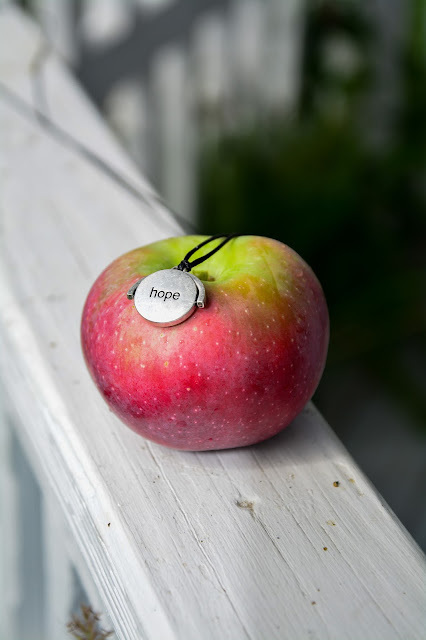 I love this J. Jill compassion fund necklace that has the word "hope" on one side and "love" on the other. Smolak Farms has so much to see and do! 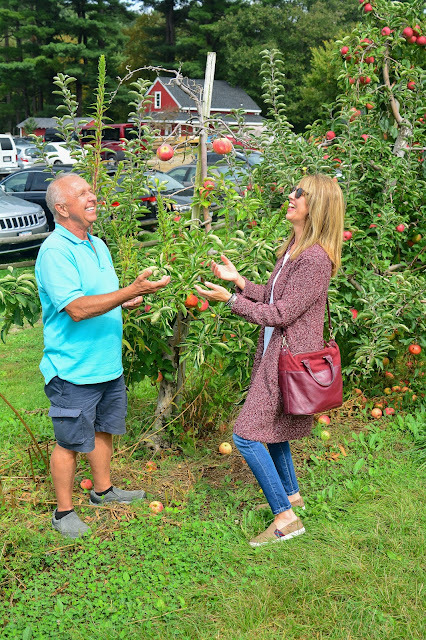 In addition to fabulous apple picking there's hayrides, pumpkin picking, an amazing bakery, ice cream and lots of beautiful mums for fall decorating. Thanks for stopping by and happy fall! Thanks to Jill Jill for providing the sweater and necklace. Some of the links generate a small commission. However, the content of my posts are based on my own honest opinions and are not in any way influenced by partnerships. I only post what I love!